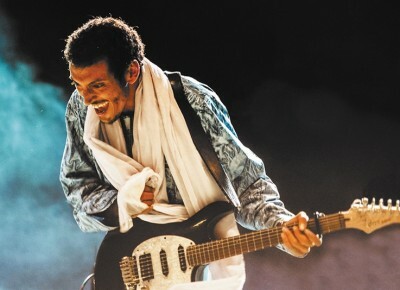 Omara Moctar, known internationally as the Nigerien psych-rock hero Bombino, is the local and living legend of a small tribe in the country of Niger. While on his international tour, Salt Lake will have the good fortune of seeing him at no charge at The Salt Lake County Building on May 15–17 for The 30th Annual Living Traditions Festival this summer. Recently, SLUG was able to interview Moctar about his music and his message.